AMC Casiday, in Tradition and Theology in St. John Cassian, writes something along the lines of being traditional as creative interaction with one’s origins. * This is, essentially, what Steve Bell‘s CD Devotion does. The songs Steve chose for Devotion, save two, are by Gord Johnson, a songwriter from his (Anglican) church in Winnipeg, St. Benedict’s Table. They would sing these songs in church, and, it seems, Steve really liked them and wanted to share them with the world; these riches were not to be hoarded. 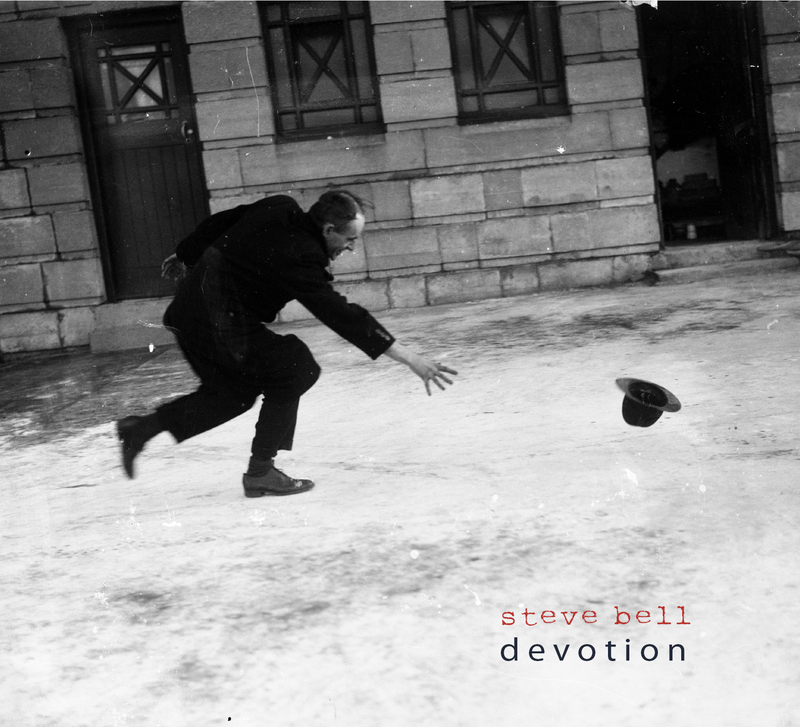 So, with Johnson’s blessing, Steve Bell recorded the album Devotion, a worship album of relatively simple yet deep songs of worship and prayer, praise and supplication. Two other songs draw upon older texts: Gayle Salmond’s “The Lorica”, a modern reworking of “St. Patrick’s Breastplate.” I love the original hymn, but enjoy singing this new telling of it. The other is “Benediction.” For those of us who pray Compline, this is Johnson’s adaptation of the ancient office hymn “Before the Ending of Day” (“Te Lucis Ante Terminum”). Also great is “Embrace the Mystery,” a very short Eucharistic song (“Behold what you are / Become what you receive / Take up this bread and wine / Embrace the mystery”). The other songs are also great and notably singable and full of grace, beauty, and truth, the same truths and ideas found in the traditional hymns. Worship is not about how you feel. It is not about your ability to connect with God. It is about rendering praise to God and telling Him how much He is worth (worth + ship = worship). It is extolling his Name. We are, however, to worship Him in spirit and in truth. Songs such as these help us focus our spirit so that we are singing more than mere words, as our minds focus their attention on the words — empty diction, empty syntax, empty grammar — and infuse them with meaning. Whether you feel good, bad, or indifferent, singing a Gord Johnson song will help you focus your mind on God. This is worship. *I’m in Ottawa; my notes are in Toronto. I’ll let you know later what the proper quotation is.